Value Place offers affordable weekly stays for fully furnished studios with a full kitchen. Although many guests decide to stay with us for months, some may choose the flexible option of extending their weekly stay for additional nights. Value Place keeps things simple by allowing you to personalize your stay. Optional amenities are available for purchase such as additional Housekeeping, Internet, Linen Exchange, Dish Pack and Coffeemaker. Standard Value Place office hours are Mon-Fri 9am-10pm, Sat 10am-7pm, and Sun 3pm-8pm. You may check in after hours by using the phone in the lobby. 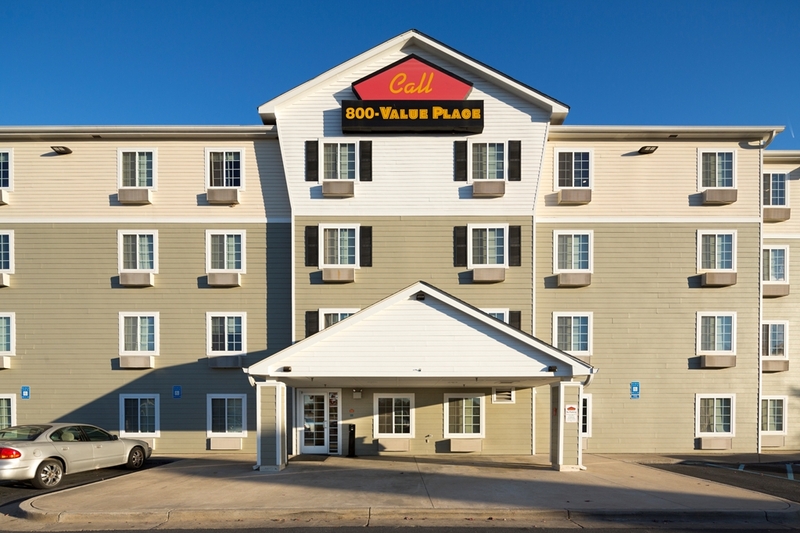 Enjoy your stay with our Affordable, Cleaner, Safer, Simple and Flexible lodging experience. Henry Wirz, commandant of Andersonville Prison, was the only man convicted of Civil War war crimes. Others view him as victim of Yankee prejudice and a hero, as this tall stone obelisk makes clear.